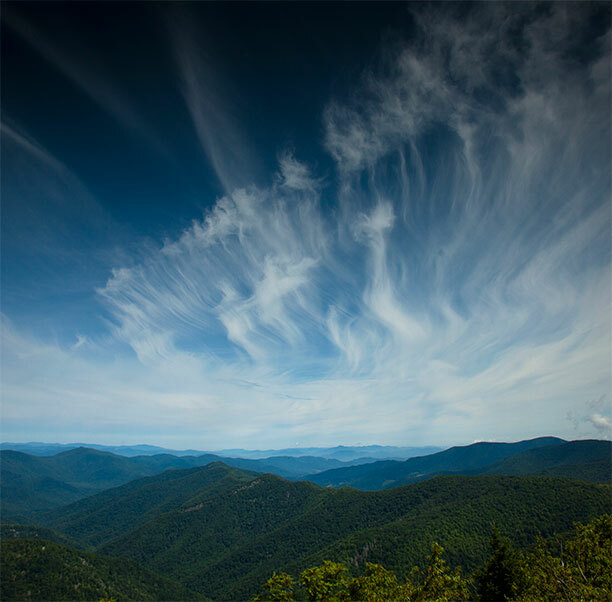 Explore summer employment as a Falling Creek Camp counselor. What’s it like being a staff member at Falling Creek Camp? We are looking for talented summer camp counselors who are available from late-May through mid-August. Our preference is to hire staff for the entire summer season. Counselors must have completed one year of college and be at least 19 years of age. 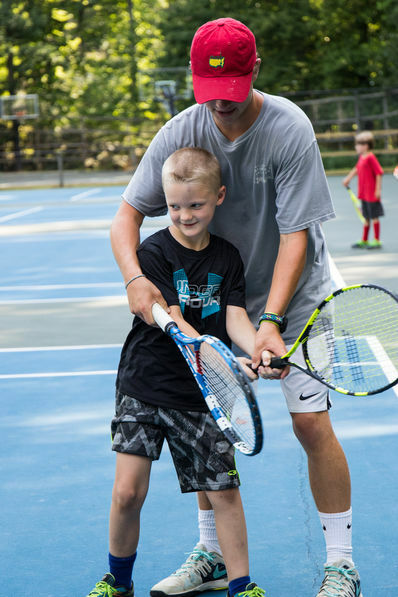 Our staff members must possess the highest moral character and serve as positive role models while living with and supervising our campers. Male camp counselors live in a cabin with one other counselor and eight campers. They teach or assist in one or more activities and have other free-time and night-time duties. Female camp counselors teach or assist in one or more activities and have other free-time and night-time duties. Patience and flexibility are probably the two qualities that are most important when working as a counselor. Going 110% every day is important. 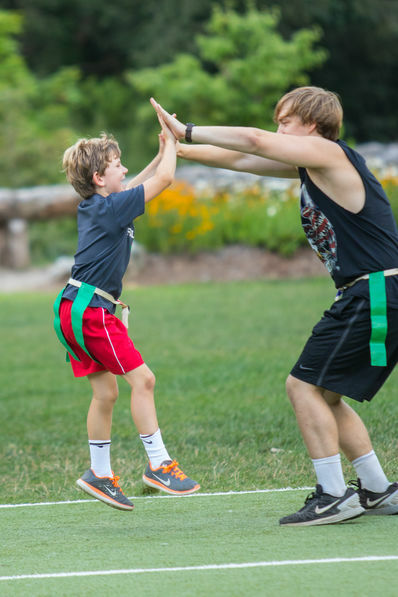 Campers are inspired by your energy and enthusiasm, so counselors must have a high energy level every day. If you’re having fun, the campers are having fun. Working at Falling Creek is a 24/7 job. You have to be able to handle anything – at 3PM or 3AM. The day never ends, but you can’t really beat the type of day you will have! We offer a competitive and progressive pay schedule that is determined based on your experience, age, education, certifications, and other factors. Room and board is included. As a counselor, you’ll eat family-style for breakfast, lunch, and dinner with your campers. We provide mattresses, sheets, and blankets. Other staff perks are weekly laundry service, a dedicated counselor “Lair” with wireless internet access, movie nights, and the occasional hair cut. During Staff Orientation, we teach you everything you need to know about working at camp. After that, we provide materials, workshops, guest speakers, and other opportunities and resources to increase your knowledge and skills. We also make our online staff resource site available 24/7. Different roles at camp require certifications. If we require you to have a certain course, we’ll coordinate with you to get it. This may include CPR, Lifeguarding, Wilderness First Aid, Wilderness Advanced First Aid, Swift Water Rescue, etc. We are fortunate to have professionals from the outdoor industry working at Falling Creek. Some of our senior staff are professional kayakers, climbers, mountain bikers, etc. They are the best of the best, and you have the opportunity to learn from them. Being a Falling Creek alumni connects you to a network of former staff and parents who are business owners and employers. We are frequently asked to refer our most talented staff members. During the summer you’ll have access to a network of discounts and deals available to industry professionals. These include clothing, gear, musical instruments, and more.